What are the PEI 55+ Games? This video was created with support from the Rotary Club of Charlottetown and was produced by Foulkes Productions. There has been some changes to the 2019 Winter Games schedule, check out the updated schedule below! For all information pertaining to the 2019 Winter Games, click on the ‘2019 Winter Games Charlottetown’ tab above! Here you will find the schedule, sponsors, results, photos, and more from the 2019 Winter Games! 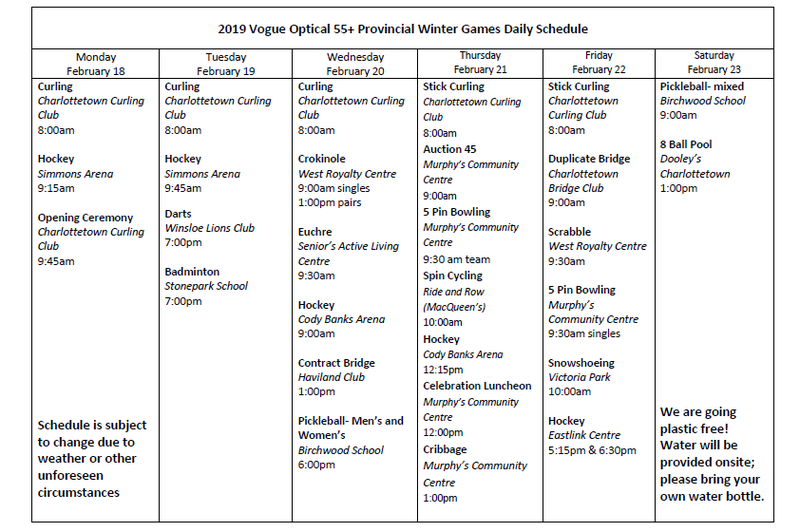 Registration is now open for the Vogue Optical 2019 PEI 55+ Winter Games being hosted by the City of Charlottetown, February 18 – 23, 2019. The registration deadline is February 7. Please remember to register on time so we’re prepared to host a great event. No late registrations will be accepted. Over 450 past participants have been sent a copy in the mail. Other past participants with a valid e-mail should receive an electronic copy this week. You can also pick up a copy at your local Vogue Optical. Online registration will be available shortly. Along with its hiring partner, Ringette PEI, the PEI 55+ Games Society is searching for an Multi-Sport Executive & Technical Director. This is a full-time contract position (32 hours/week) which renews annually . 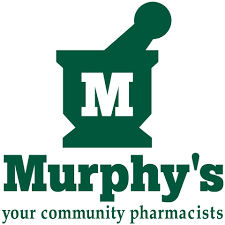 Primary responsibilities include assisting with the delivery of programs and administering the day to day operations of the organization. Please view the position profile for more detailed information. Resumes will be accepted until 4pm on December 28. 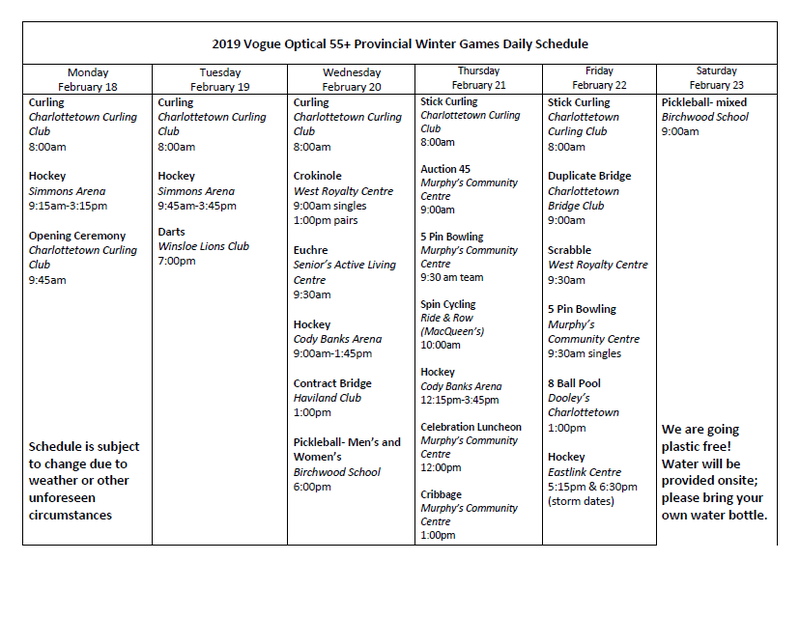 Souris will once again play host to the Vogue Optical Eastern Kings Regional 55+ Games this winter. The regional event will take place from January 23-26 with curling, darts, cribbage, hockey, scrabble, washer toss, 45s, bowling, pickleball, shuffleboard, and bridge being planned. The deadline to register will be January 11th. Download and print a copy of the registration form: Eastern Kings 55+ Games Registration Form 2019. Want to Improve 55+ Games hockey? There is a meeting Thursday night (25th) at 6:30pm in Room 212 at the Royalty Centre in Charlottetown to discuss hockey at the 55+ Games. Anyone interested is welcome to attend.